Conveniently located in northwest Austin and in the heart of the Texas Hill Country, former Jack Nicklaus designer, Andy Raugust, blended a spectacular up-scale golf course with natural limestone caverns, knobby live-oak trees, rolling hills, and meandering streams and lakes to create an Austin golf experience that is unparalleled in the area. The course features a beautiful, but challenging front 9 followed by a fantastic risk/reward back 9 with 3 par 3's, 3 par 4's and 3 par 5's. Running along Lake Avery, the 18th is Austin's best finishing hole and provides a unique view of the Texas Hill Country. *Note: separate membership to the Golf Club is required. 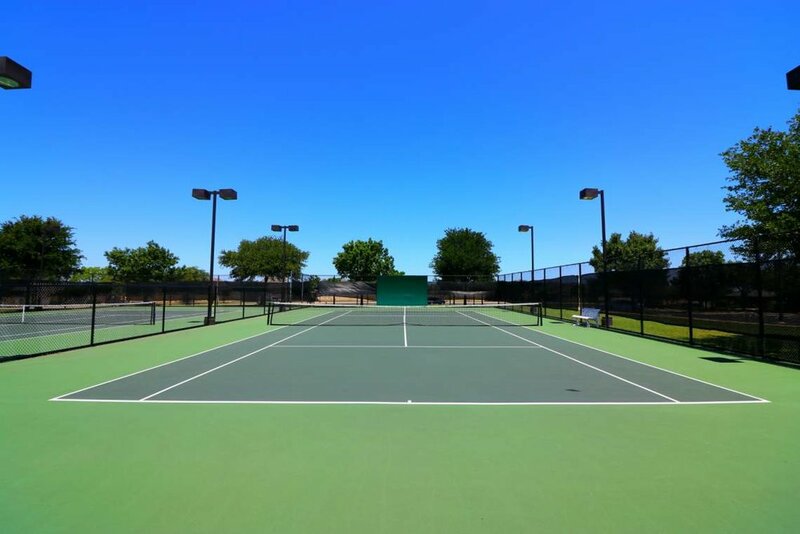 Based at the Avery Ranch Main Amenity Centers 5 tennis courts, the Avery Ranch Tennis Club offers tennis courts available for reservation by Avery Ranch residents. A competitive recreational summer swim team located in the Avery Ranch neighborhood of Austin, Texas. Our swim team is for the exclusive enjoyment of our residents and their grandchildren. We are a part of the North Austin Aquatics League (NAAL) that includes the Balcones Blue Wave, Forest Area Swim Team (F.A.S.T. Frogs), Great Hills Gators, Westover Wild Orcas, Shalom (formerly JCC) Piranhas, and Twin Creeks Twisters. Our season is approximately 9 weeks long each year with 6+ swim meets and one CHAMPS meet. Troop 371 was founded in November 2012 with Avery Ranch Homeowners Association as our charter organization. Our Troop currently has about 200 Scouts, and our size has allowed us to offer a program and infrastructure which helps enable the scouts to be successful. Our Troop’s core focus is building a "Boy Led" Troop. As the boys progress within the troop, they will have the opportunity to teach what they have learned and have many opportunities to lead and advance. Our adult leaders mentor and guide the scouts in their leadership roles, which helps set them up for success! Avery Ranch Gives Back is a program designed by the Avery Ranch Social Committee (ARSC) to sponsor different 501c3 organizations that assist the communities of Austin, Round Rock, Cedar Park and Leander. Avery Ranch residents donate items to these organizations at our many events throughout the year. Avery Ranch Gives Back has benefited organizations such as the Austin Diaper Bank, Texas Humane Heroes, HIll Country Community Ministries and local school district clothes closets. The Avery Ranch community looks forward to being able to assist our community and our neighbors through generous donations. The Avery Ranch Social Committee is comprised of Avery Ranch resident volunteers that work with the Avery Ranch Lifestyle Director to organize, plan and execute on the many Avery Ranch family friendly and adult only events for residents throughout the year. If you see the “ARSC blue shirts”, you know you are in good hands! We are always looking for resident volunteers to join ARSC and help put on these amazing community social events. Please click the button below and fill out the form to join ARSC. Avery Ranch Living is the official social magazine for the residents of Avery Ranch. Residents love Avery Ranch Living because it’s all about them. Business sponsors love Avery Ranch Living because they can reach 4000+ families in Avery Ranch in a way that’s invited and appreciated by the residents. Avery Ranch Living is 100% funded by the local businesses that sponsor it. Each month, these sponsors cover the cost of producing, printing, and mailing the magazine to over 4000 mailboxes in Avery Ranch. For more information about Avery Ranch Living Magazine, or to become a sponsor, please visit the website.